We’ve been taking time to feature various job opportunities for quadriplegics. This month, we will focus on motivational speaking. Many motivational speakers have a back story they refer to when addressing a crowd. 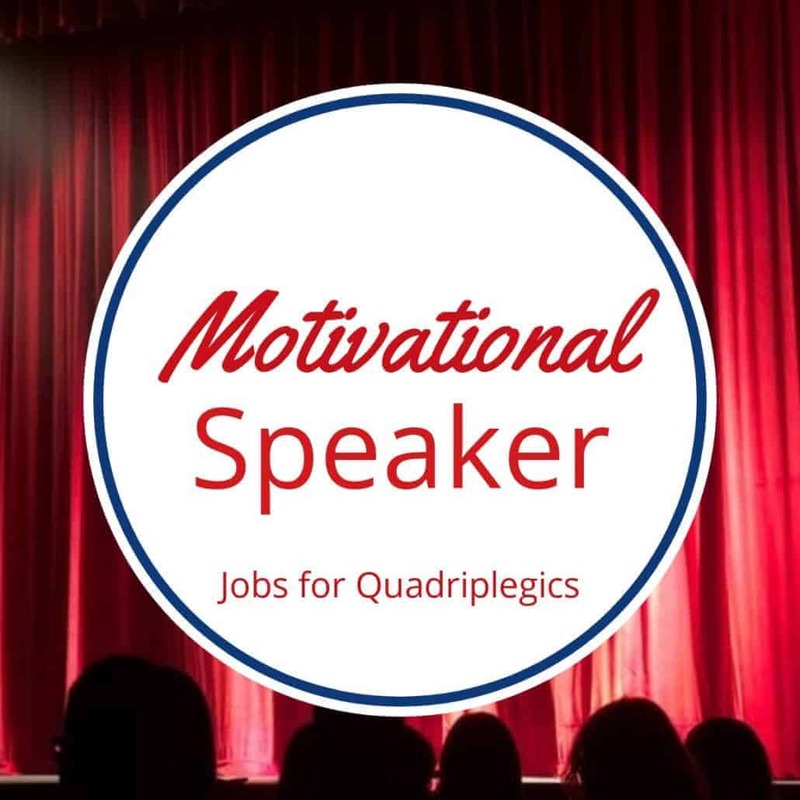 Persons with quadriplegia definitely have a story to tell, which is why motivational speaking is one of the more popular jobs for quadriplegics. A prime example is Chris Skinner, who we wrote about in a previous post. He uses his story to not only prevent others from making the same mistakes he did, but to also show that despite tragic events, you can go on to lead a normal and productive life. Motivational speaking can command a very lucrative salary, along with additional benefits including travel and meals. Plus, you also get to meet and share your story with a lot of interesting people. Advances in adaptive equipment for quadriplegics, assistive technology for quadriplegics and communication devices for quadriplegics have all helped to make motivational speaking one of the more fun and viable jobs for quadriplegics. Grid 3 software is an especially helpful tool when it comes to motivational speaking. Not only does it operate with various inputs, but it allows users to conduct research on the Internet, compose a speech and control their environment. It’s augmentative and alternative communication (AAC) features are pretty impressive as well. Accessibility Services, Inc. powers all of our environmental control units (ECU) – including the autonoME, which is an integrated ECU/speech generating device – with Grid 3 software. If you are considering a career in motivational speaking, give us a call. We will make sure you have everything you need – from environmental control to AAC and more – to help fuel your success in this exciting career.